Home Spectors can help you find the best person for your pest control needs. The best exterminator is one who knows their pests. Jarrod Goforth knows his pests; there are 2 main things that ants feed on. There are protein feeding ants and sweet feeding ants (with some eating both.) Sometimes the exterminator will spray for ants and others will bait for the pests. So knowing the pests help so much in knowing what kind of bait to use. Here are some Acrobatic ant feeding on protein. The ants seen in this photo are feeding on protein. The ants seen in this photo are sweet feeding ants feeding on aphids. We can help you get the right pesron for you pest control in the Charlotte, Gastonia, Mooresville, Concord, and Monroe, NC area. 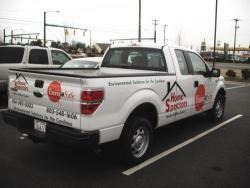 If you need pest control call us at 704-545-2847 and we will get you the best person for the best price. My dad and my grandfather did pest control for years. My grandfather passed on, but my father and I are doing pest control today. The first thing you need when doing termite control is a good termite inspection. After a good termite inspection and there are active termite seen in the home, it is time to check the best way to treat the home. Most homes can be treated for termites with a termiticide liquid around the home. Sometimes people are close to lakes/streams or have a home that is hard to treat for termites with liquids. In homes like this, the pest control that works best for the home is bait. This will cost more in the long run, but the home does not have to have holes drilled into it. The wings of a termite are the same size and milky. The ants wings are very clean and easy to see through. Most of the roach problems are German cockroaches in a home. You need to know what kind of cockroach you have. The German roach is the hardest to control. This pest can not be controlled in just one trip and may take more than one trip by the pest control operator. Look at this photo and see if this looks like the pest you are seeing. If this is your problem, please call at 800-250-2423. Mice are a pest that love to come in when it is cold out, but the pests do not leave when it gets warm. Most of the pest control tech use bait on mice and rats. This mouse has eaten through the bait placement pack put out by a pest control tech for the control of mice. The trick is getting it to the proper place and a lot of the time that is in the crawlspace, attic and behind/under cabinets. For all your termite and pest control needs, contact Home Spectors. Call us to get one of the trucks sent your way! 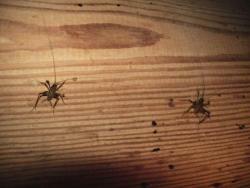 The Charlotte area has been getting the best pest control from Home Spectors. Termite and pest control is what we do best. We have happy customers in Charlotte, Pineville, Mathews, Mint Hill, Huntersville, Davidson, Cornelius, Denver, Monroe, Indian Trail, Gastiona, Belmont, Mt Holly, Concord, Mooresville, Statesville, Rock Hill, Fort Mill, York SC and Kannapollis NC . We hope you are the next happy pest control customer!